Something about un-wrapping a parcel always brings surprise and joy. I’m incredibly lucky to have made some amazing friendships through blogging and I always appreciate it when I receive a little gesture of goodwill unexpectedly through the post. Whilst I took a little break away from the online community, I was overjoyed and touched to receive these lovely packages. Thank you for brightening up my day. The lovely Sophie was designated as my swap partner in Lakota’s Jubilee swap. I couldn’t have chosen a better match. I love the fact she picked all the items that she knew I would like and be able to put to good use. 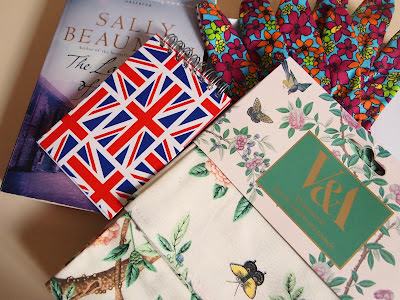 My package included some beautiful V&A tea towels, floral gardening gloves, Union Jack notepad, Sally Beauman book, and some handmade writing paper. 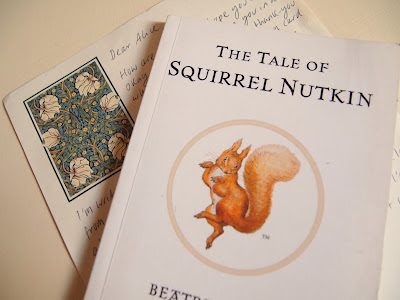 Jazmine knows my love for Beatrix Potter, and sent me The Tale of Squirrel Nutkin, one of my most treasured tales. 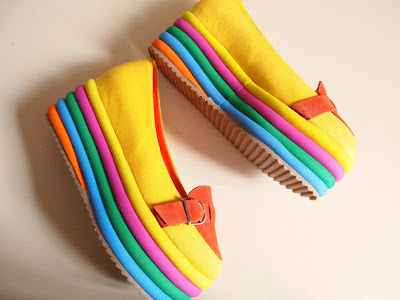 I was thrilled to win the most fabulous and funky shoes in Sammy’s giveaway. I literally felt like I was walking on rainbows when I first tried these on, every little girl dreams of rainbow coloured shoes. And finally when a mystery parcel popped through my letterbox I was overjoyed to discover a Ladybird book to add to my collection and a selection of adorable postcards and stickers from Gem. 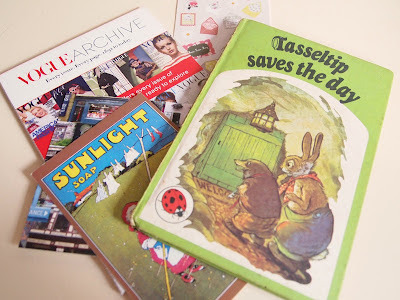 What I have realised today is that blogging is a wonderful hobby, one that captivates and intrigues us. But without the friendships we form, and people we interact with, it would be a very dull and lonely place. Thank you from the bottom of my heart for always inspiring me. 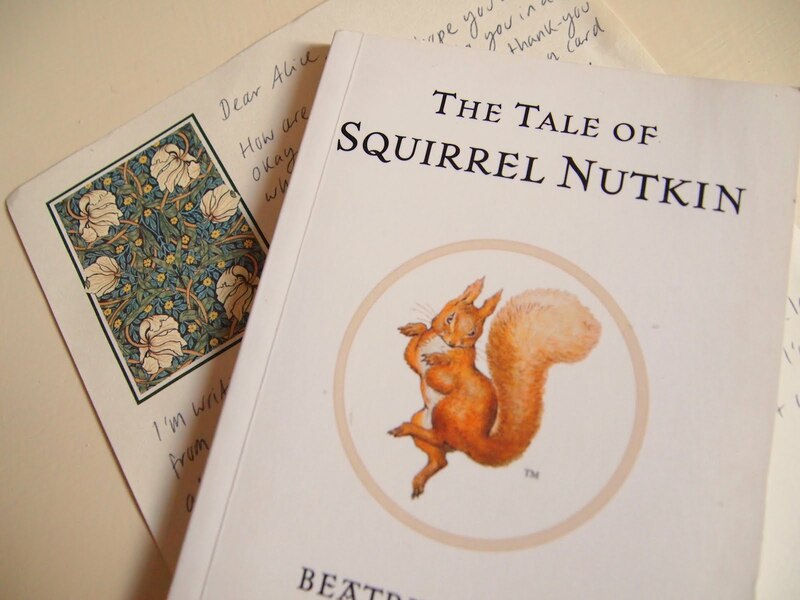 Aw the tale of squirrel nutkin was always a firm favourite of mine. Good to have you back! I had all those Beatrix Potter books when I was a kid, I love them. What a lovely post!! Those shoes are fab!! 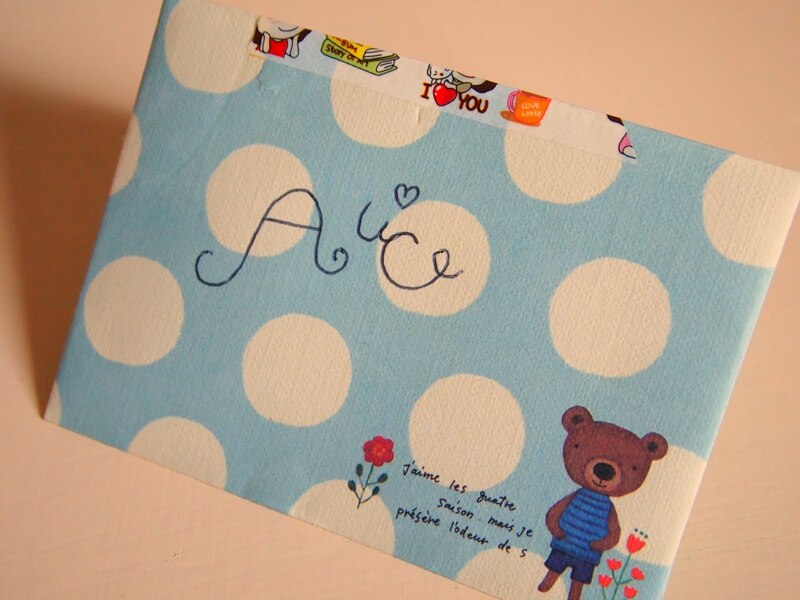 Glad you're feeling better Alice, great swap goodies and treats too. You must feel like Rainbow Brite in those shoes! Wise words Alice. I never dreamed I would make such great friends through blogging either. Your parcels are as lovely as you and much deserved I'm sure.